Cinema may be the most universal form of entertainment today. Movies cross national boundaries and language barriers through moving images and human stories, bridging gaps between different cultures and people. 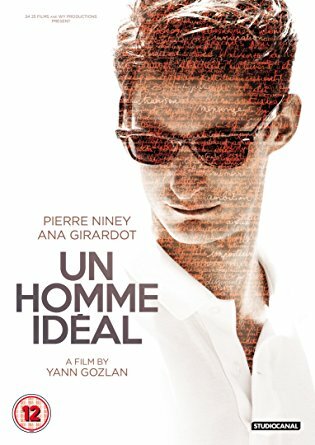 In the last 20 years, the French Film Festival in the Philippines has brought to the Filipino audience some of the best of French cinema, representing images of France and its society and carrying values and traditions while also depicting its concerns, issues and experiences to be shared with the viewers. The 21st French Film Festival offers viewers a wide selection of movies, many of which were released in Parisian theaters this year. A public of all ages, from the youth to the seniors, and from all walks of life, from students to professionals, will surely find a film that they could identify with. 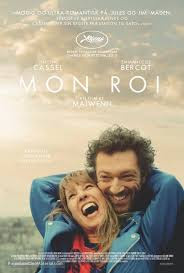 While France is commonly associated with wealth and luxury, many of these films deal with socio-economic realities such as unemployment, migration, or even feminist movements that often lead to crises in relationships whether within a family or among lovers and friends. 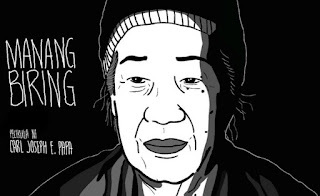 Manang Biring is a comedy-drama about a feisty but terminally-ill old lady who has learned to accept her imminent demise. Until one day, she receives a letter from her long-estranged daughter abroad announcing of her return for the holidays. As she races against time with her declining health, Biring will go to great lenghts to prolong her life and gift her daughter and grandson a happy Christmas. Five, A young man paying rent for himself and his lifelong friends at an apartment ends up flat-broke and resorts to selling marijuana to pay the bills - only to get caught up in the dangerous world of drugs. Party Girl, Angelique is sixty years old. She still loves to party and she still loves men. At night, to earn a living, she gets them to drink in nightclub on the German border. With passing time, clients have become few and far between. But Michel, her regular, is still in love with her. One day, he asks her to marry him. 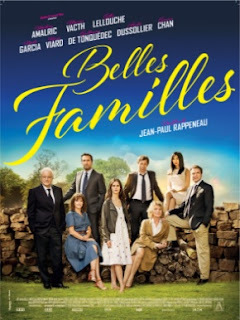 Belles Familles, Jerome Varenne lives in Shanghai. 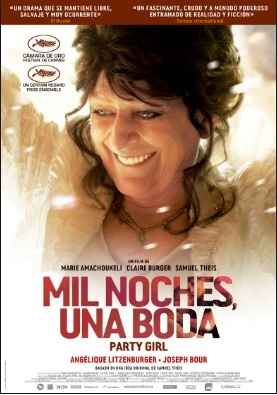 During a quick trip to Paris, he learns that his childhood home in the village of Ambray is at the center of a local conflict. He heads there to straighten things out. This escapade will change his life forever. Grand Central, Gary is young, agile, quick learner. He's one of those who's never been promised anything. After a succession of odd jobs, he begins work at a nuclear power plant. There, amongst the reactors and their high doses of radioactivity, he finally finds what he's been looking for: money, a team, a family. But the team also includes Karole, Toni's wife, with whom he falls in love. Forbidden love and radiation slowly contaminate Gary. Each day is menacing. Le Fantome de Canterville, In the depths of legendary Brittany, Alienor de Canterville's ghost is condemned to haunt his family's castle and to scare away any new inhabitants. She fulfills this mission wonderfully, assisted by Gwilherm, her faithful servant. 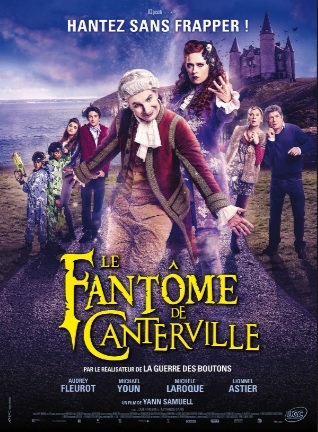 But when the Otis family, fleeing from Parisian life, buys the castle, Alienor is upset that she doesn't manage to frighten this 21st century tribe. Only 15 year old Virginia Otis, moved by the the Canterville ghost's fate, will try to free Alienor from the curse affecting her life. Bird People, In transit in an international hotel near Roissy airport on the outskirts of Paris, a computer engineer coping with huge amount of professional and emotional pressure decides to radically change the direction of his life. 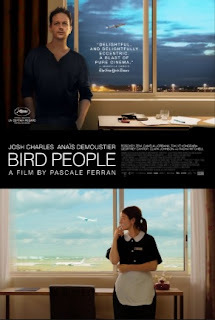 A few hours later, a young hotel maid, who is at an in between period of her life, finds her existence turned upside down by a supernatural event. 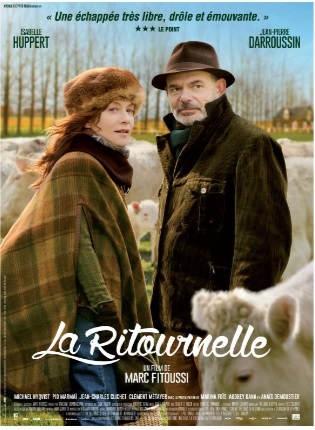 La Ritournelle, Brigitte and Xavier farm cattle in Normandy. Brigette's a dreamer, with her head in the clouds, whereas Xavier's feet are firmly on the ground and his main focus is his work. Now that their children have left home, the couple's routine life increasingly weighs Brigitte down. One day, in a moment's madness, she leaves the fields behind and heads for Paris. Xavier then realizes that he is perhaps going to lose her. Will they manage to get back together? And how does one reinvent oneself after so many years? To regain your wife's affections, you sometimes have to take a crooked path. 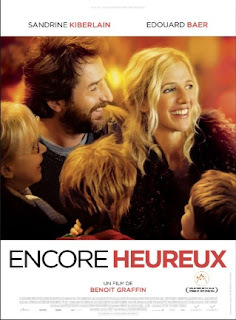 Encore Heureux, Yes, Marie is a little tired of the carefree attitude of her husband Sam. She is very tempted to allow herself to be seduced by a handsome anonymous man who courts her. There is also her daughter's piano competition. This crazy light and balance stands more or less, as unexpected events cast that whole family on an even crazier path. 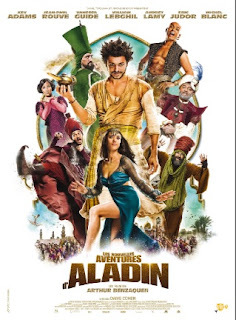 Les Nouvelles Aventures D'Aladin, On Christmas Eve, Sam and his best buddy Khalid dress up as Santa to steal as much as they can from a department store. But Sam gets cornered by some children and has to tell them a story, the story of Aladin - his version, at least. Taking on the character of Aladin, Sam heads off on a voyage to the heart of Baghdad, city of a thousand and one riches. But alas, behind the colorful folklore, the poeple are suffering from the tyranny of the terrible Vizir, known for his cruelty and his dubious breath. Will the young thief Aladin, helped by his genie, be able to thwart the Vizir's diabolical plans, save Khalid, and win the heart of Princess Shalia? Actually he will. But we won't lie to you. : it's not going to be easy! 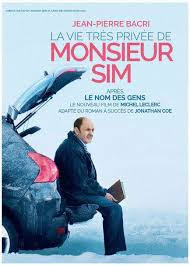 Mon Roi, Tony is admitted to a rehabilitation center after a serious skiing accident. Dependent on the medical staff and pain relievers, she takes time to look back on her turbulent relationship with Georgio. Why did they each other? Who is this man that she loved so deeply? How did she allow herself to submit to this suffocating and destructive passion? For Tony, a difficult process of healing lies aheead of her, physical work which may finally set her free. 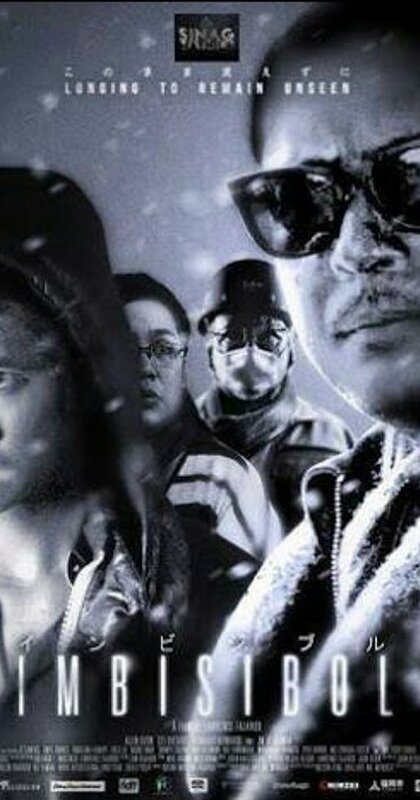 Imbisibol tells the tale of illegal Filipino immigrants in Japan and their plight to evade authorities. 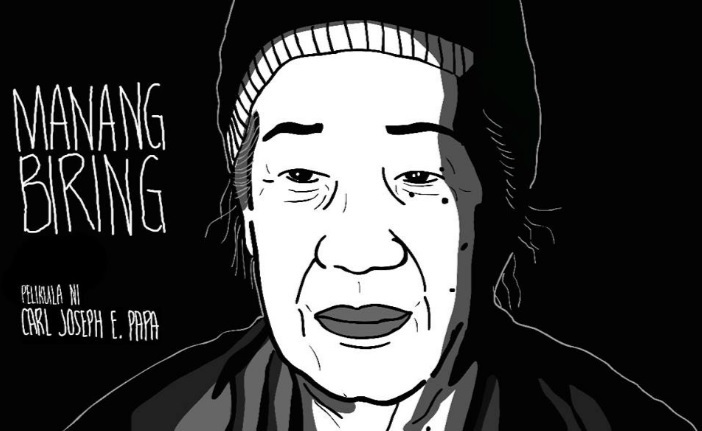 It weaves together several narratives about undocumented Filipino workers trying to support themselves and their families back home by taking under-the-counter work in japan. Les Souvenirs, Romain is 23 years old. He'd like to be a writer, but for the moment, he's a night watchman in a hotel. His father is 62 years old. He is retired and seems to not give a damn about anything. He shares an apartment with a 24-year-old guy whose sole aim in life is to seduce women, no matter who, and no matter the cost. His grandmother is 85 years old. She's in an old people's home and wonders what on earth she is doing stuck with all these old people. One day, Romain's father turns up flustered. His grandmother has disappeared. In fact, she kind of escaped. 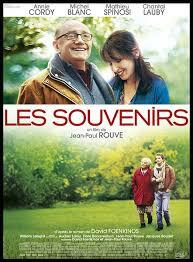 Romain sets out to find her, somewhere in his memories. 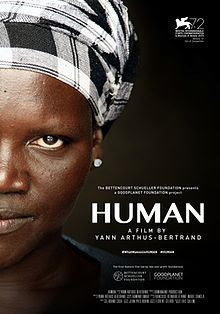 Human, is a collection of stories about images of our world, offering an immersion to the core of what it means to be human. Through these stories full of love and hapiness, as well as hatred and violence, HUMAN brings us face to face with the Other, making us reflect on our lives. From stories of everyday experiences to accounts of the most unbelievable lives, these poignant encounters share a rare sincerity and underline who we are - our darker side, but also what is most noble in us, and what is universal. Our Earth is shown at its most sublime through never-before-seen aerial images accompanied by soaring music, resulting in an ode to the beauty of the world, providing a moment to draw breath and for introspection. Human is a politically engaged work which allow us to embrace the human condition and to reflect on the meaning of our existence. 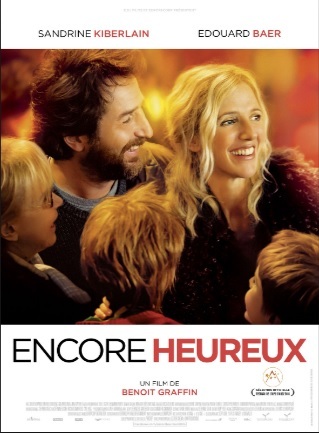 Toute Premiere Fois, Jeremie, 34 wakes up in an apartment he doesn't know, next to a woman he doesn't know. She is Adna, a stunning Swedish woman who is a funny as she is sweet. Is this the beginning of a fairy tale? Not quite, since Jeremie is about to get married-to Antoine. Antoine ressembles one of the heroes in the films whose scores he composes. He's charming, successful, and goes through life with as much humor as lightheartedness. When hetravels to India to work on a very original version of Romeo and Juliette, he encounters Anna, a woman with whom he has nothing in common, but who he finds devastatingly attractive. Together, they'll live an incredible adventure. Monsieur Sim, Mister Sim is of no concern to anyone whatsoever. At least, this is what he thinks about himself. His wife has left him, him job has left him, and when goes to see his father in a remote part of Italy, not even Dad has time to have lunch with him. He then receives an unexpected offer: to travel through France selling toothbrushes that will "revolutionize oral-dental hygiene." He takes advantage of the job to catch up with people from his childhood, to meet the first big love of his life, along with his daughter, and to make amazing discoveries and, in so doing, rediscover himself. Un Homme Ideal 25-year-old Mathieu has always aspired to become a famous author. It's a dream which seems inaccessible because, despite all his efforts, he has never managed to be published. Meanwhile, he earns his living by working for a moving company. His destiny takes a new turn the day he stumbles across the manuscript of an elderly and solitary man who has recently died. At first Mathieu hesitates, then finally decides to steal the text and pretend he wrote it. He becomes the bright new start of French literature. Everyone is now eagerly anticipating his second novel, and as each day passes and pressure mounts. 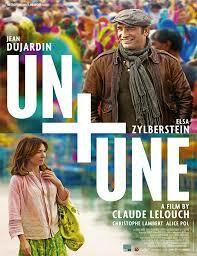 Mathieu plunges ever deeper into a criminal spiral of lies in order to keep his dark secret hidden. La Belle Saison: 1971, Delphine is 23 years old. A farmer's daughter, she comes to Paris so as to be financially independent; she dreams of running her own farm, something unthinkable for a woman to do at this time. Carole is a Parisian. She's actively involved with the feminist movement. When Delphine and Caarole meet, their love affair turns their lives upside down. But Delphine is obliged to return to the family farm. Carole follows her. Once there, they'll have to cope with another reality.